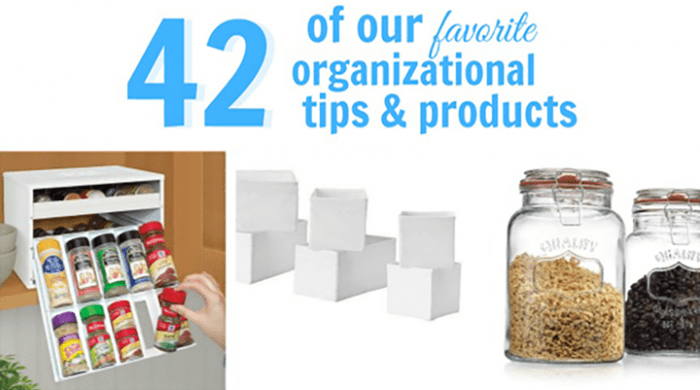 Storage and organization is no joke in our house and I am always looking for the best ways to store and organize the things we have in our home. But if you know me, or have been around here for a while, you know my style can be a bit eclectic sometimes, but in general I lean towards industrial and farmhouse types of design. 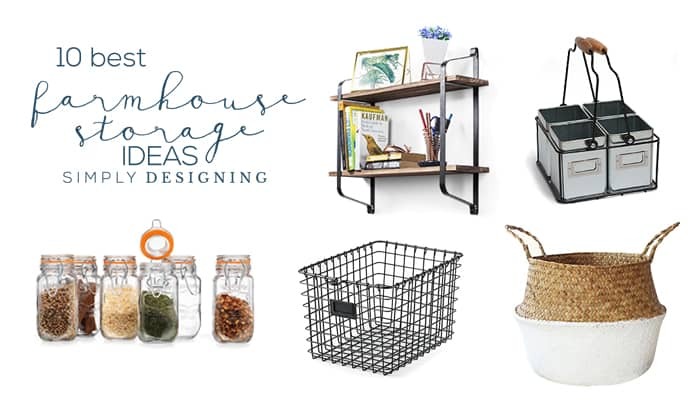 So I decided to scour the internet for the best farmhouse style storage ideas that are affordable and beautiful, and I wanted to share them with you today. 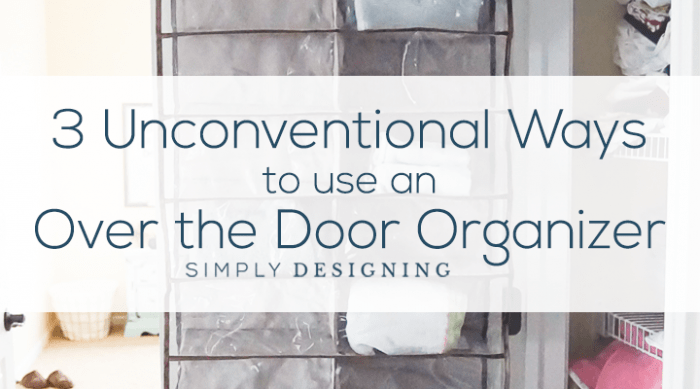 If you love organization ideas, you also might like my post from last year sharing some of the best organizational products that myself and fellow bloggers love here. And keep reading for the 10 Best Farmhouse Storage Ideas. Please note that affiliate links are included for your shopping convenience. If you make a purchase through one of my links, you never pay a penny more, but I get a small affiliate income from it. Thank you for supporting my blog. *As a note, I do not own all of these products, so I can not speak to the quality of them. But they do all seem to be highly rated. Please do your own research before purchasing though. Simply Designing takes no responsibility for the delivery or quality of the products shown here. I don’t have these exact olive buckets, but I have one by my fireplace and another half sized one on my front door that holds flowers or seasonal decor and I just love them! They are practical and beautiful! 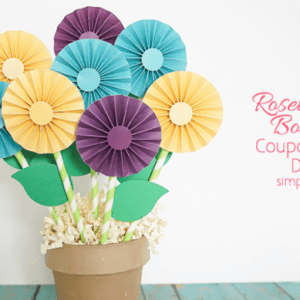 And are the perfect way to store or display things around your home. But it HERE. This is on my wish-list for sure! 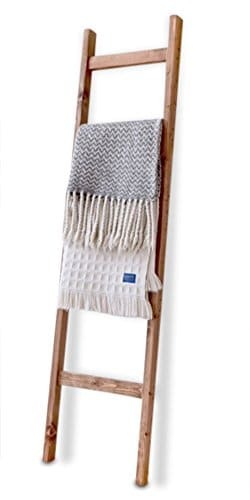 It is beautiful and gets great ratings and I would love to use this either to hold blankets or to hold ladder baskets for all the items around your house that need a home! Buy it HERE. 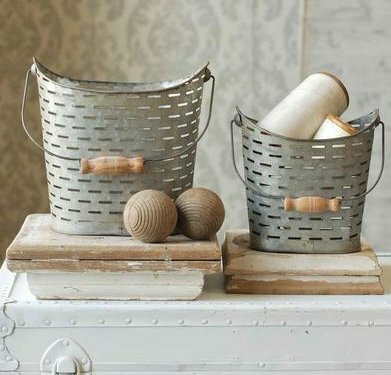 Like I said above, I would love to put some baskets on a wood ladder and these ones are beautiful and full of farmhouse style. But it HERE. Oh, man is this ever pretty! 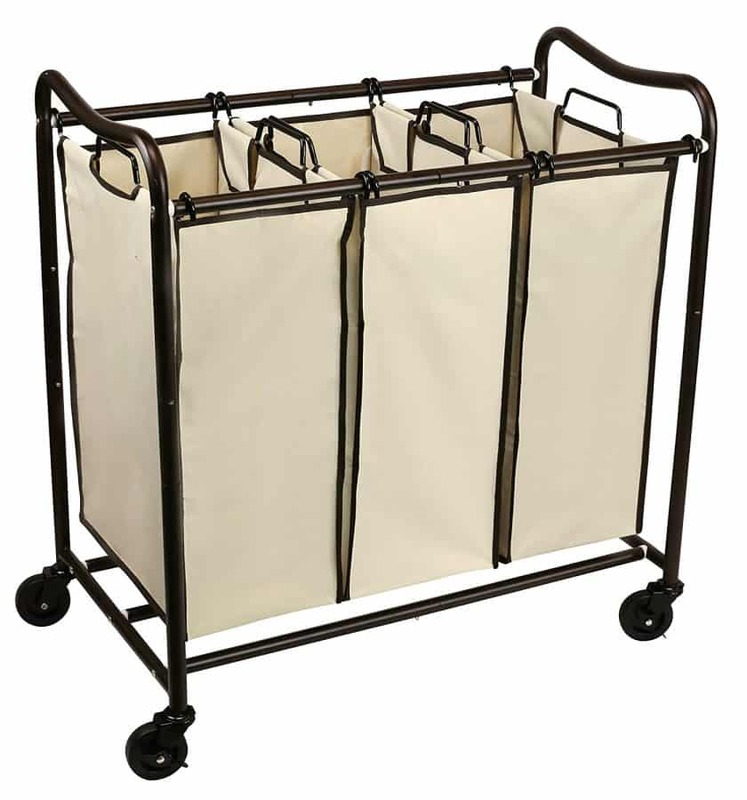 You can use it to sort laundry, hold stuffed animals, blankets, extra pillows or even to hold a plant! This tote is so pretty, oozes charm and is the perfect way to add farmhouse storage to your home. Buy it HERE. Laundry is a necessary evil around our house. 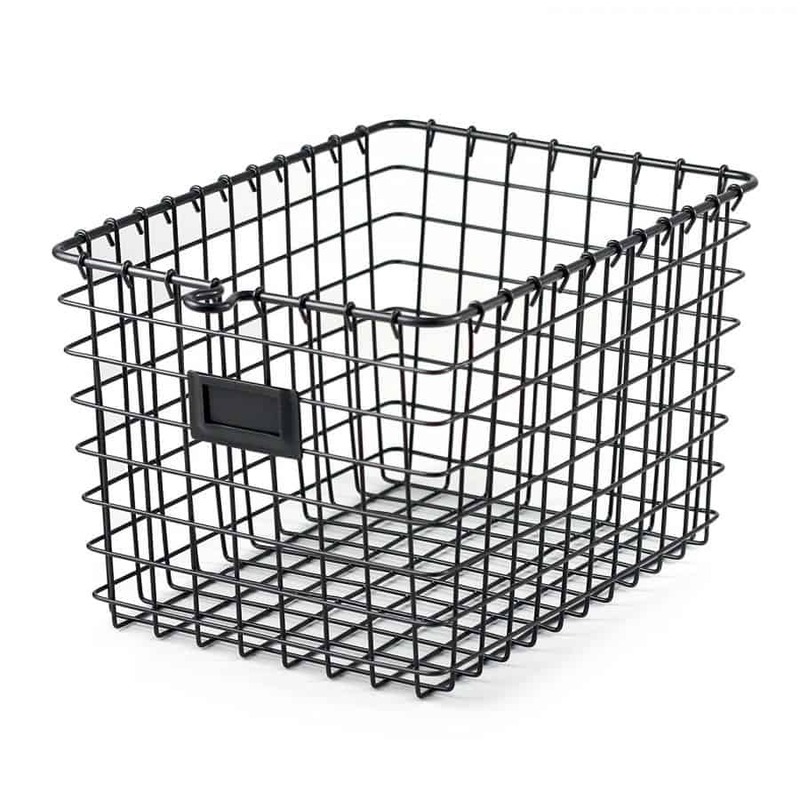 But I love the idea of upgrading my plastic bright pink laundry baskets I got on sale 7 years ago to something more pretty with a beautiful farmhouse style to it. Buy it HERE. 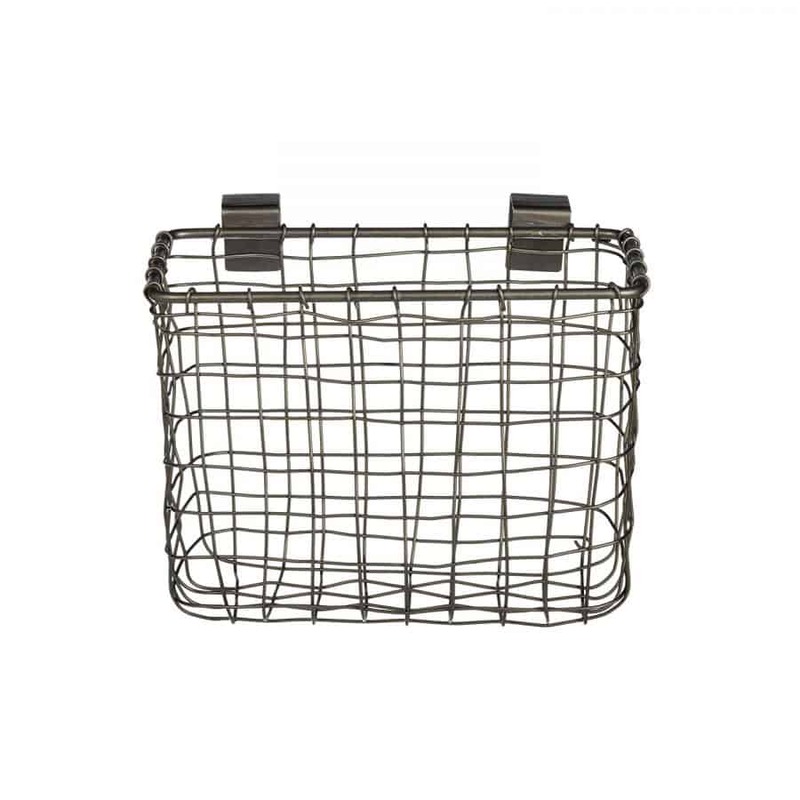 Let’s go ahead and just snag a bunch of these because you can never have too many baskets, am I right!? I love organizing all the things, and doing that requires places for everything. 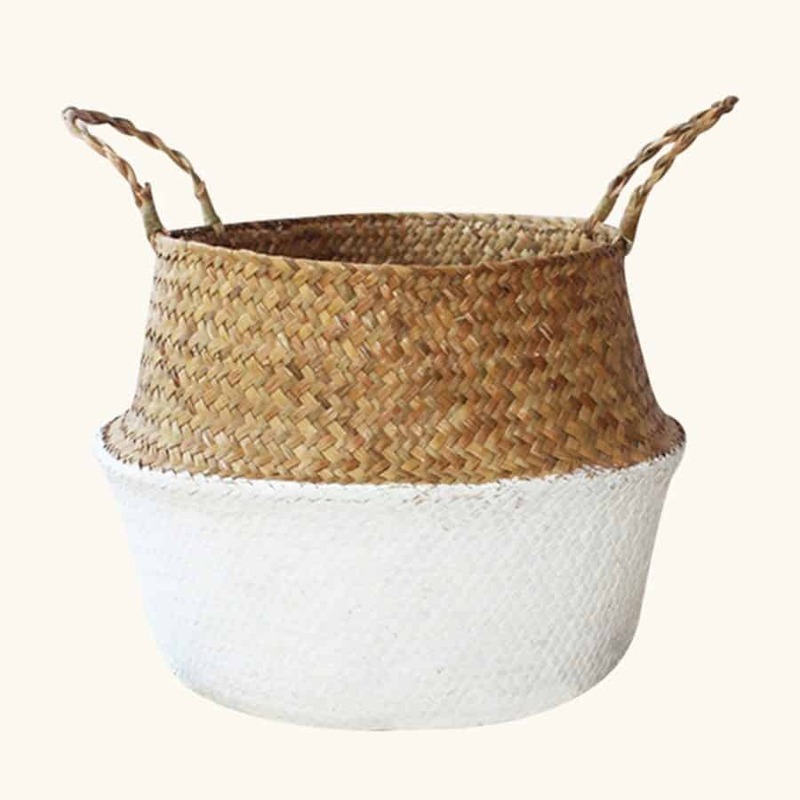 Cute baskets are the answer…always. Buy it HERE. 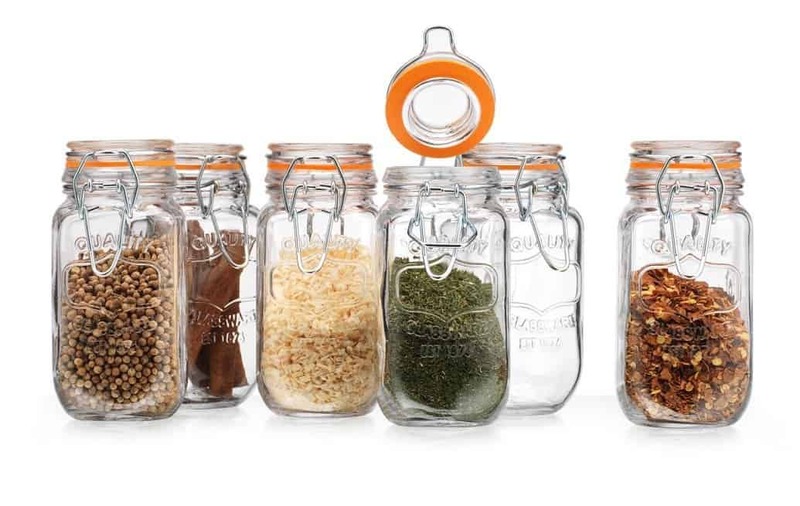 I have a LOT of spices and I would love to organize them in these beautiful hermetic sealed jars for a little farmhouse storage charm in my home. Buy it HERE. 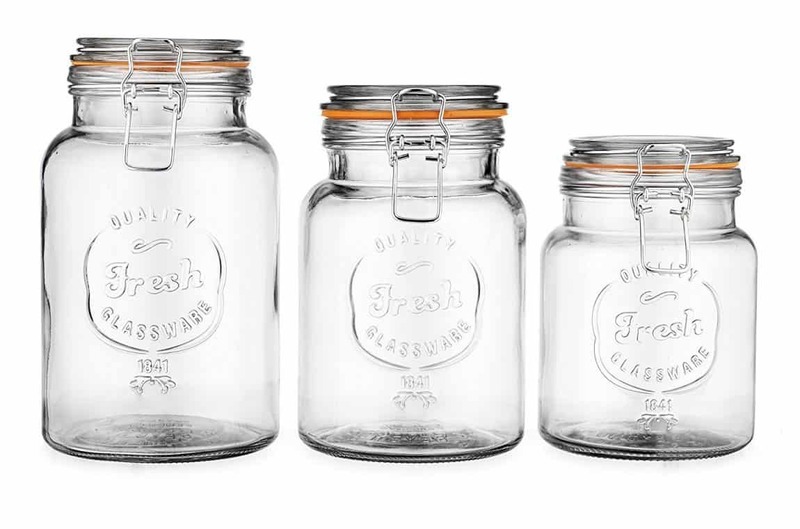 Yes, I really love hermetically sealed jars…can you tell!? Well, I actually own a set just like this and I LOVE them so much! 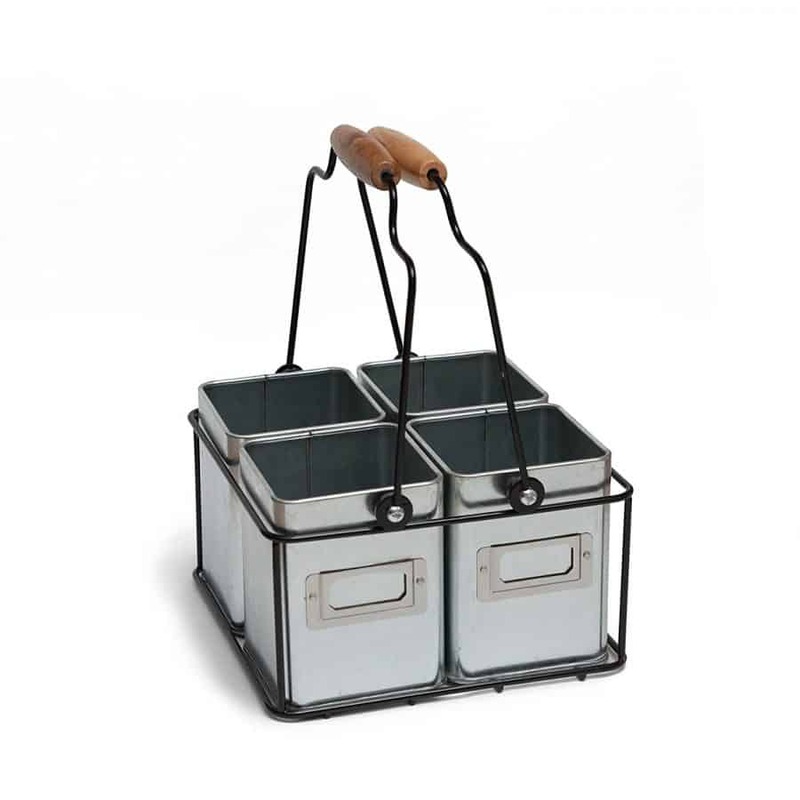 I use them to store things in my laundry room, things in my bathroom, and they would be perfect for kitchen storage too! Oh so pretty! Buy it HERE. I really love this so much! It is in my shopping cart right now, just waiting for me to push that buy button! I love how sleek and industrial it looks while having a farmhouse charm to it. Such a great way to store silverware and keep it accessible when guests come over or anytime! 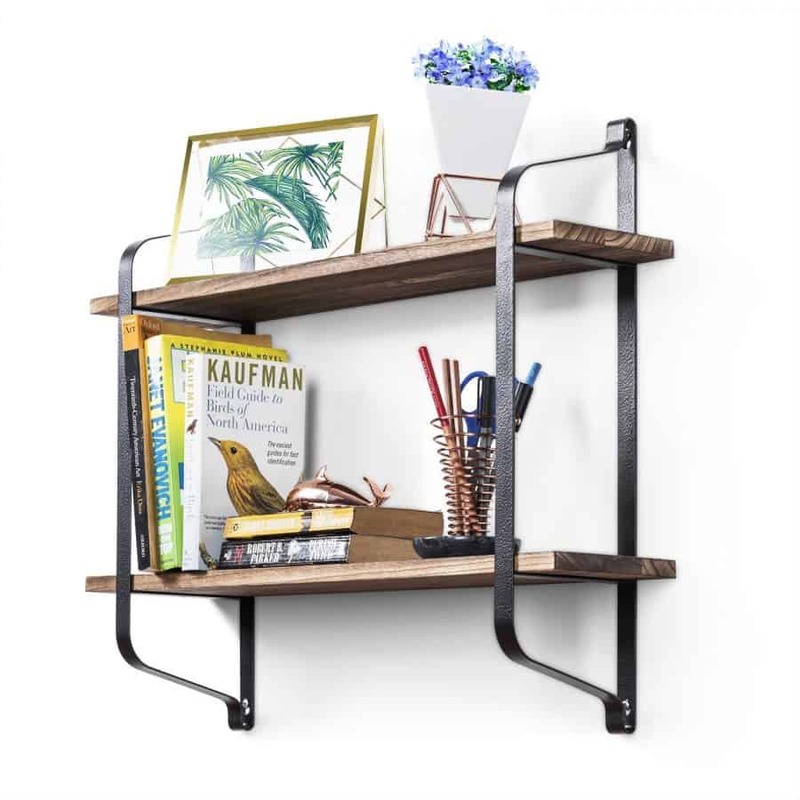 But it would also be really a cute way to display plants, pens, and pencils or anything else that may need a home in your house. Buy it HERE. Wow this is pretty, isn’t it!? I can’t wait to get my hands on one of these. 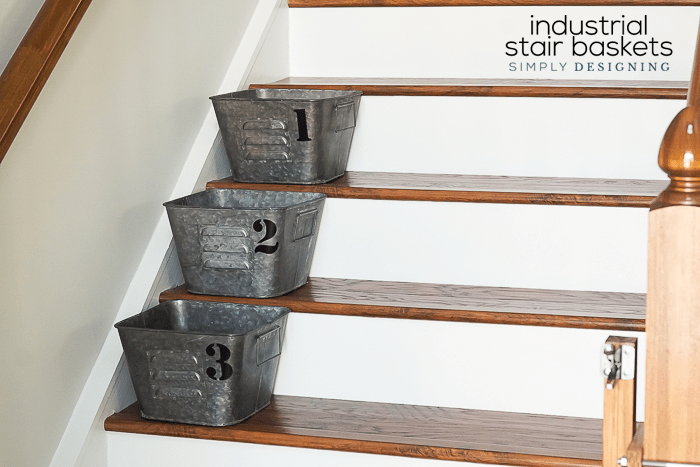 It is rustic, practical, beautiful and has both an industrial and farmhouse style to it! I just think it is really pretty! Buy it HERE. There are so many ways to add storage and organization to your home, but my favorite way to do it is with style! And these Farmhouse Storage Ideas are full of style and charm while still being incredibly practical and functional. All of these products are so fun, and functional. Great collection.